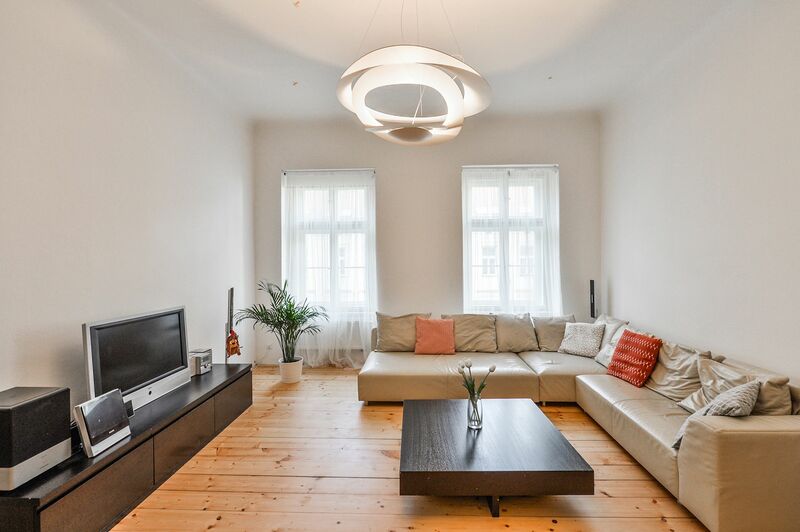 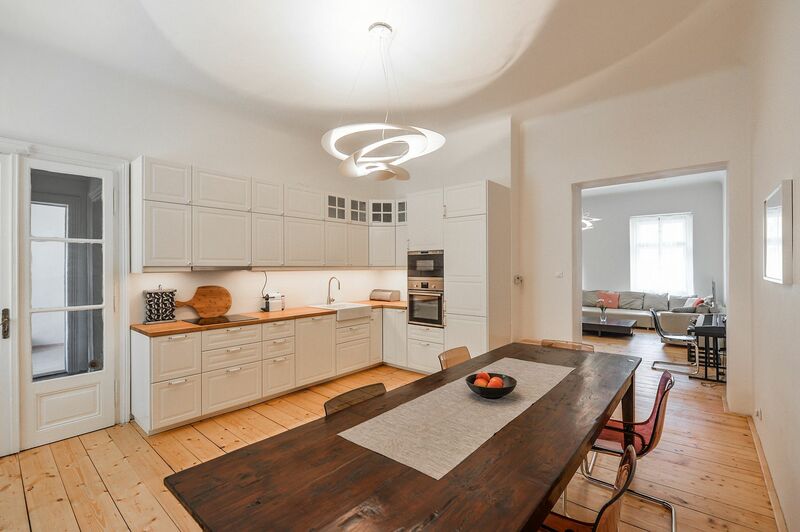 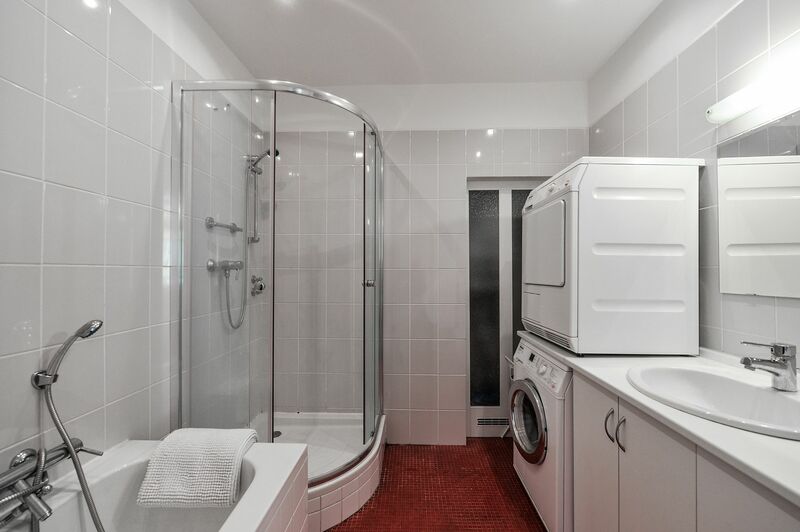 This spacious apartment with high ceilings and an impressive atmosphere is located right in the center of Smichov - in Anděl, in a place with all urban amenities and great connections to the center. 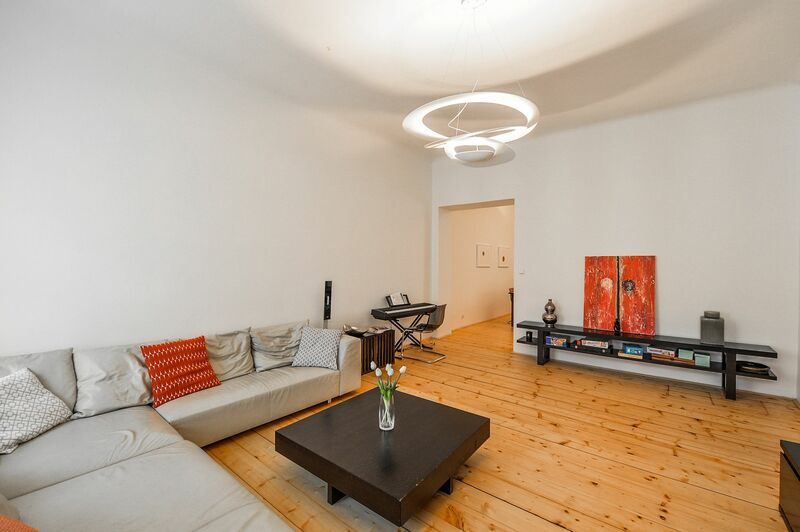 The layout of the apartment is located on the 2nd floor of a courtyard building without a lift. 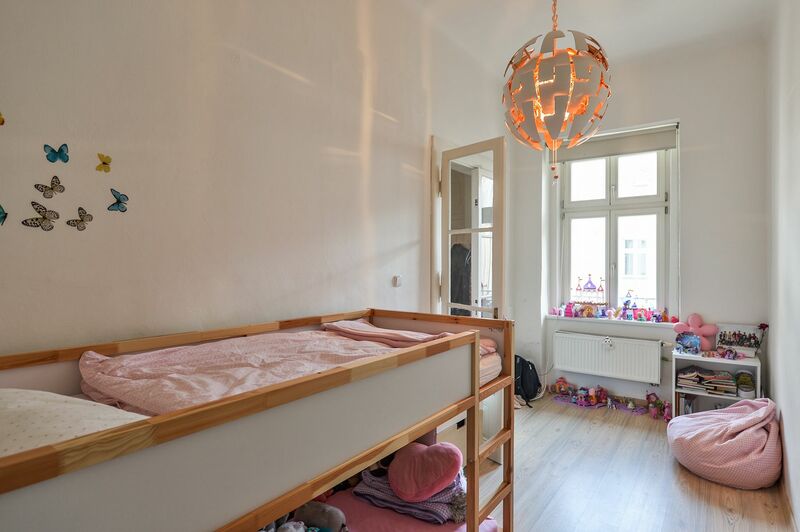 There is a living room, kitchen with dining room, bedroom, children's room facing the courtyard, hallway, bathroom (bath, shower, wash-basin, connection for washing machine and dryer), a separate toilet and utility room. 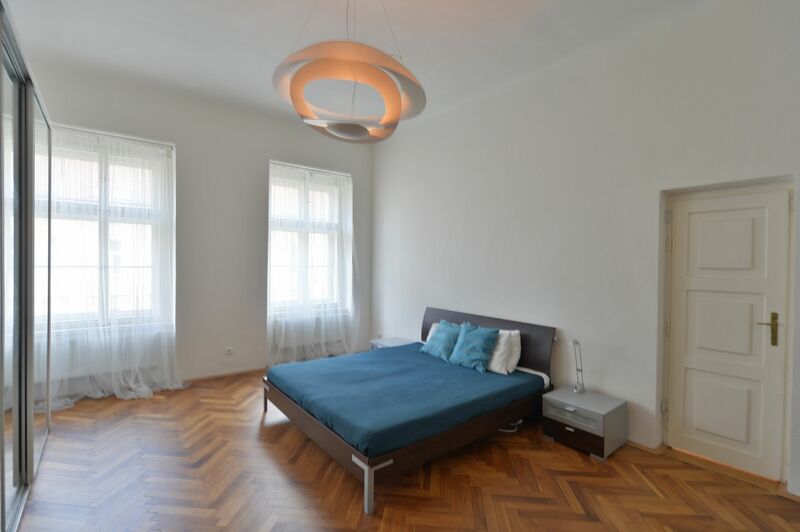 The interior includes a floor of solid wood planks (kitchen with dining room) and parquet floors (living room, bedroom), built-in wardrobe, original renovated door and casement windows and a fully equipped kitchen. 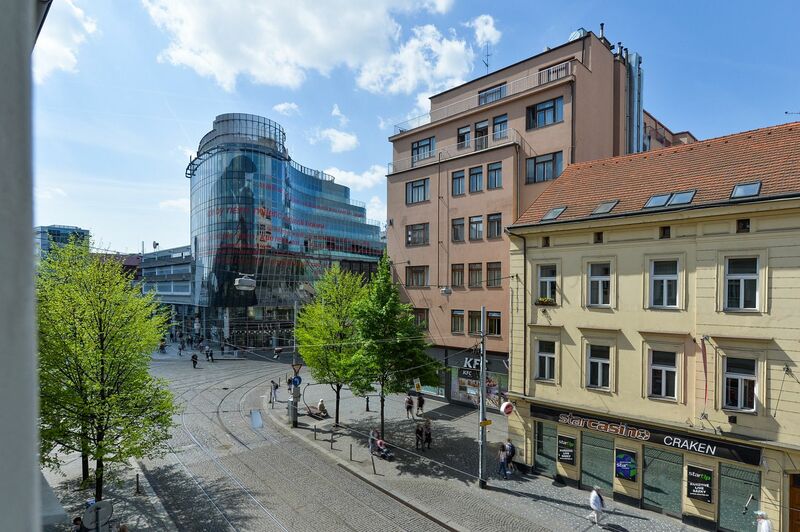 In the underground garages of the shopping center directly opposite the apartment, there is a possibility for rent a guarded parking space. 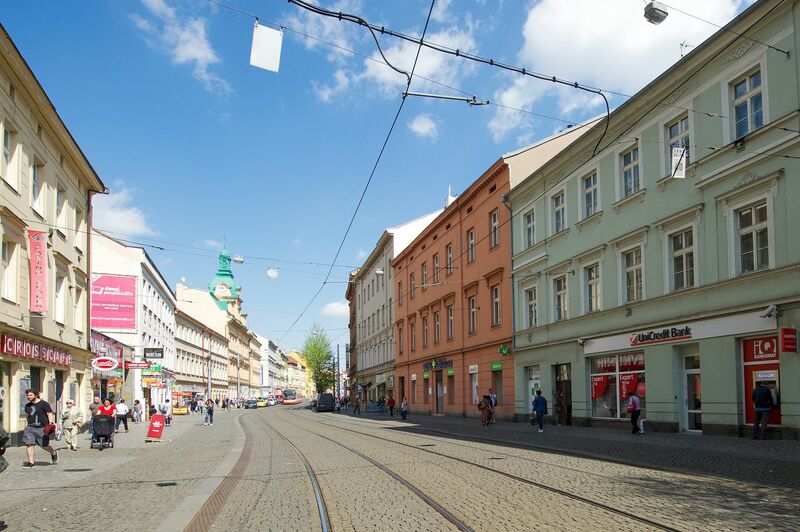 The surrounding area of ​​Anděl provides everything needed for comfortable city living: wide shopping opportunities, culture, schools of all levels, restaurants, cafés and bars, reach of many parks and gardens and perfect accessibility.